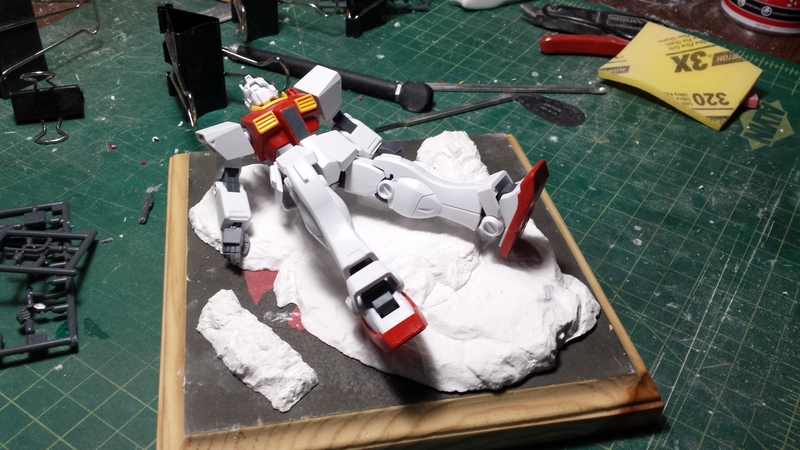 Quick simple diorama. Feeling a little burnt out from my other diorama project, ADD kicks in and I start up work for a smaller vignette style diorama that is about 6 inches by 6 inches. 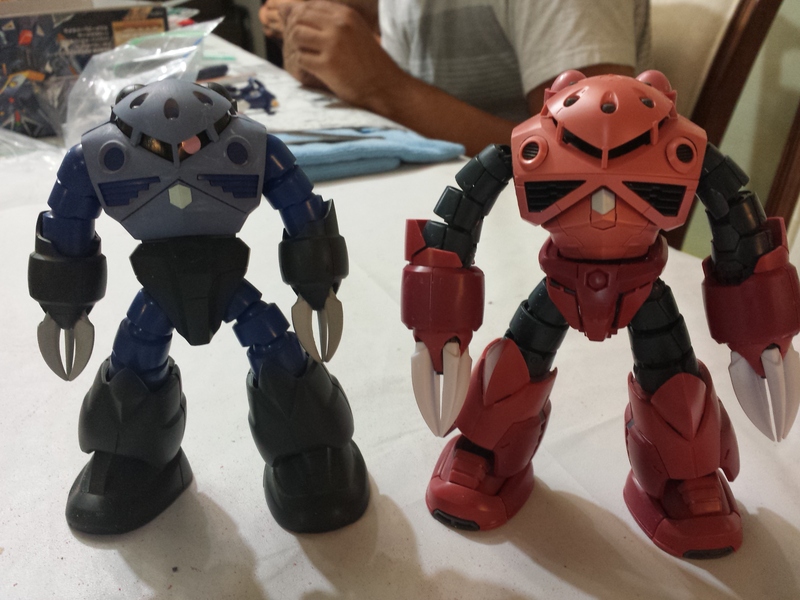 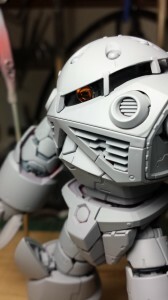 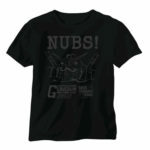 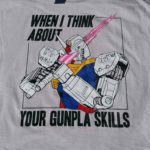 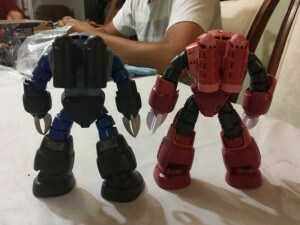 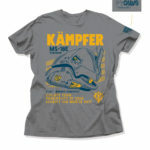 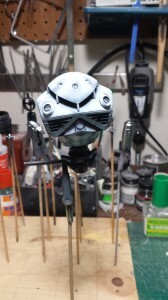 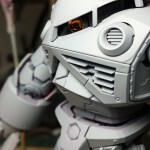 Principal players will be an HGUC GMII and a Real Grade Z’Gok. Since the real grade kit just came; I’ve yet to build one of these little buggers, so why not pop that cherry with a Char’s special. Since SCGMC (yes, shameless plug) is slowly creeping up as well as IPMs Orange County Orangecon 2014 (“real” plastic model competition), I figured I can build a quick little display piece in about a month or so. Beginning with the base, I grabbed an old wood base I had stenciled and painted Amuro’s Pegasus logo as a starting point. To this, I glued some plaster rocks I casted earlier and laid out the snapped together GMII to get a basic look and feel. 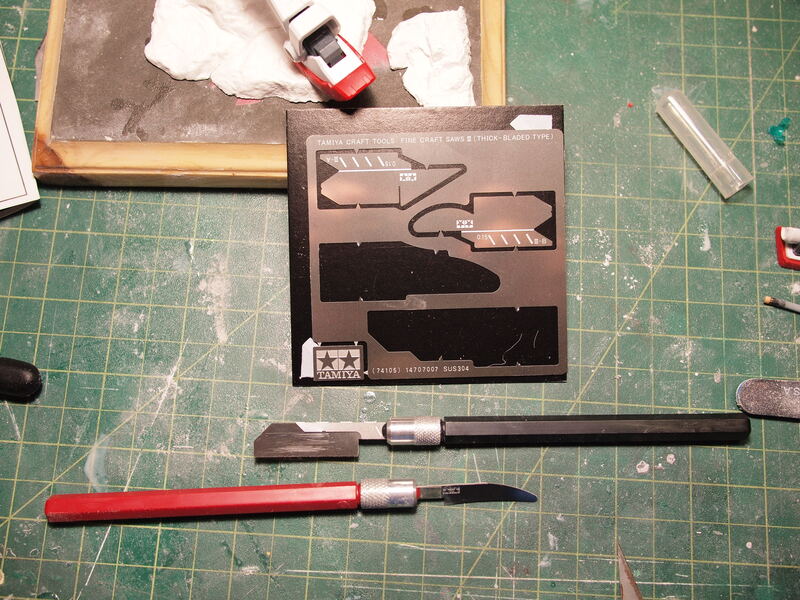 The call for some surgery on the GMII will help mesh the kit onto the surface of the base. 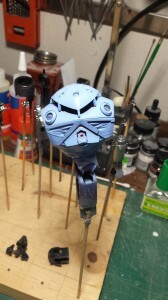 Some damages are applied to a few surface areas, chips, small bullet hits, a nice gaping hole where the cockpit is, and some styrene glue roughing finishes off the hurt to Mr GMII. 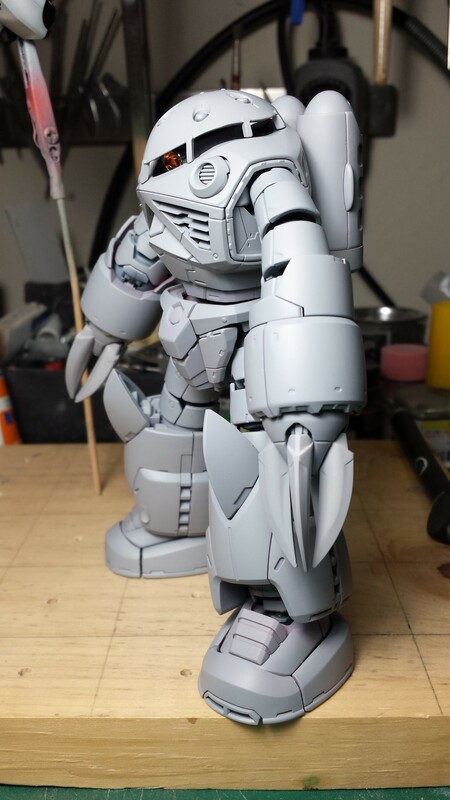 The kit is then painted and another test fit to the base. 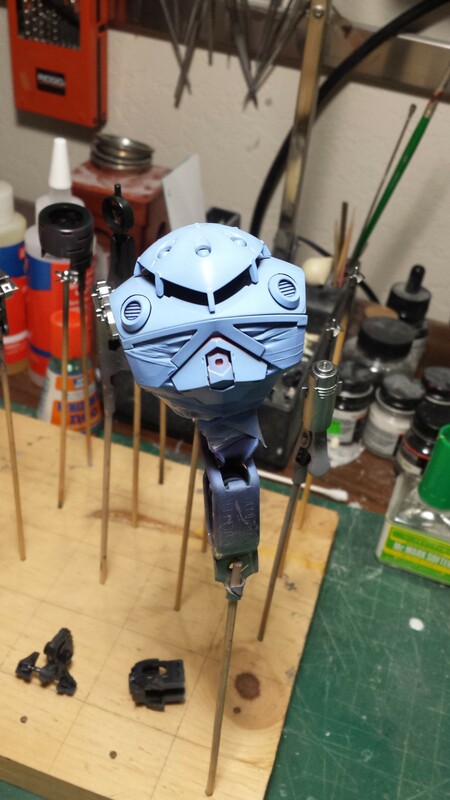 I spent this month’s build gathering working on the Real Grade Z’Gok that I picked up from Robot4Less – yes, yet another shameless plug. 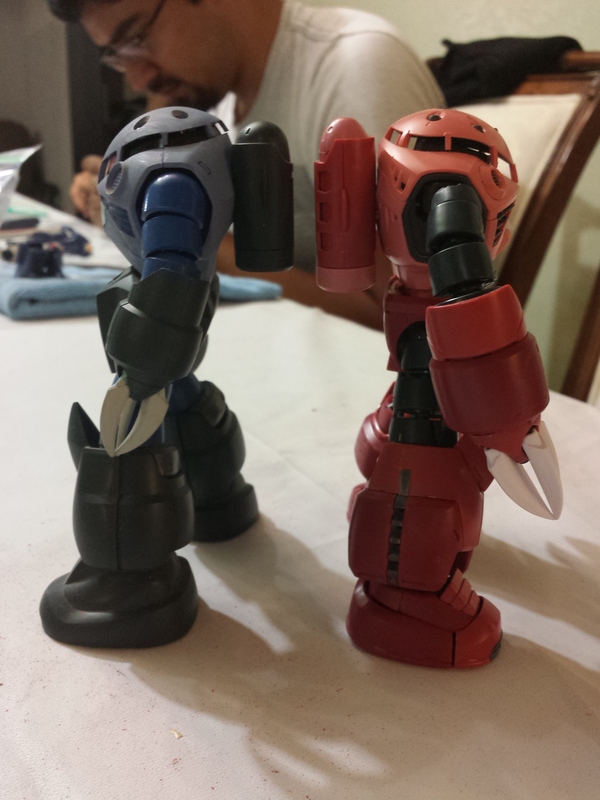 I dig around my closet of forgotten kits built well over a decade ago and found an HGUC Z’Gok to use as a comparison to this new version. 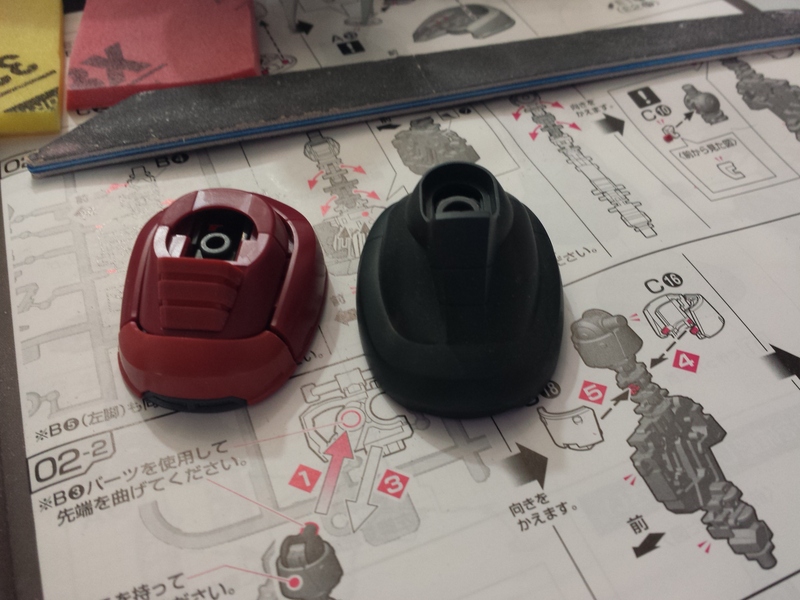 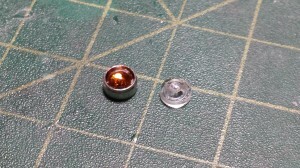 The RG has about 11 or so parts to the foot piece in comparison to the HGUC’s 3 which includes the polycap. 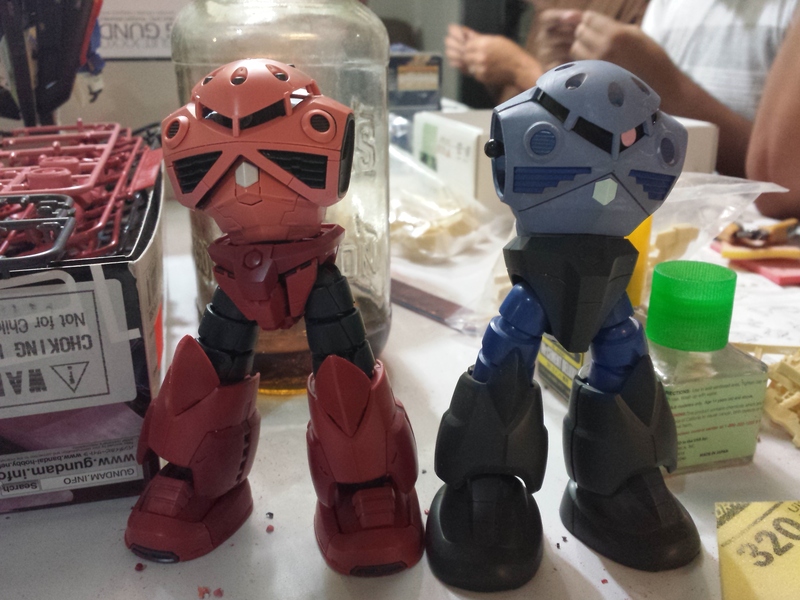 Craziness. As I cut, sanded, and built, I had the HGUC around for comparison shots. 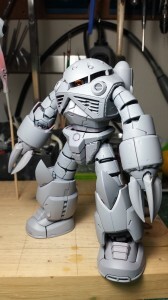 The proportions are definitely much better with the RG and just design wise, I like it. 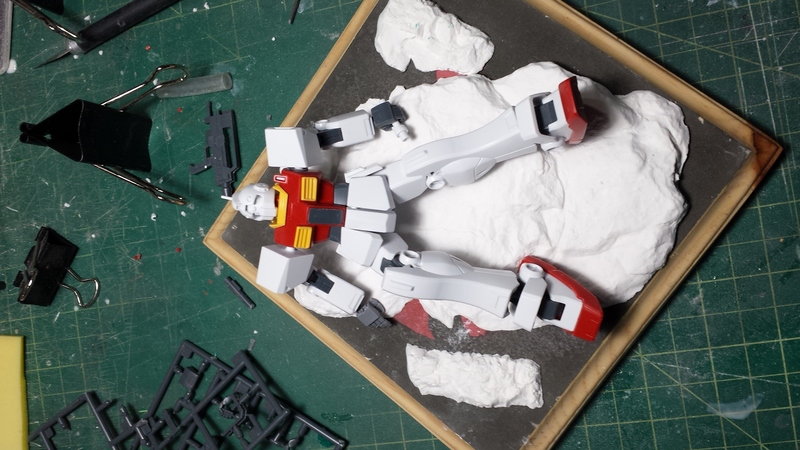 The damn thing took the entire span of the build gathering to complete. No extreme mods to either kit, just some damages and at least a swap out of the mono eye. 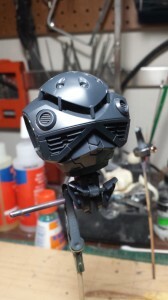 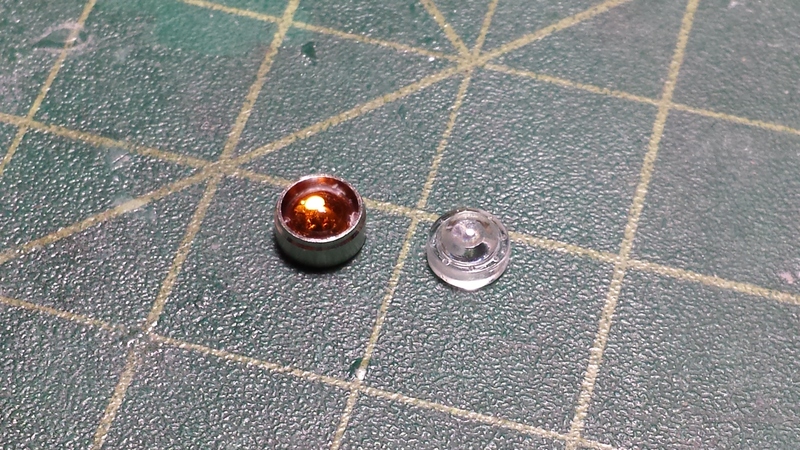 Granted, the clear and separate mono eye piece is a HUGE improvement over the HGUC eye stickers; I still wanted a better look, so a small metal collar and a quick detail piece work to replace the clear mono eye part. The Gok is then primed as I want a fresh painting canvas to start. Base coated in phantom grey, then a rather heavily shaded white and finally the light violet that is the grunt paint scheme for Z’Goks is sprayed. 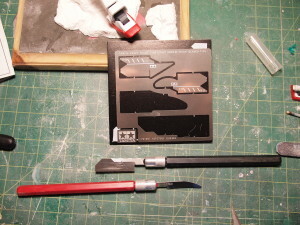 A quick note about painting methodology; yes, I paint the parts as major subassemblies. 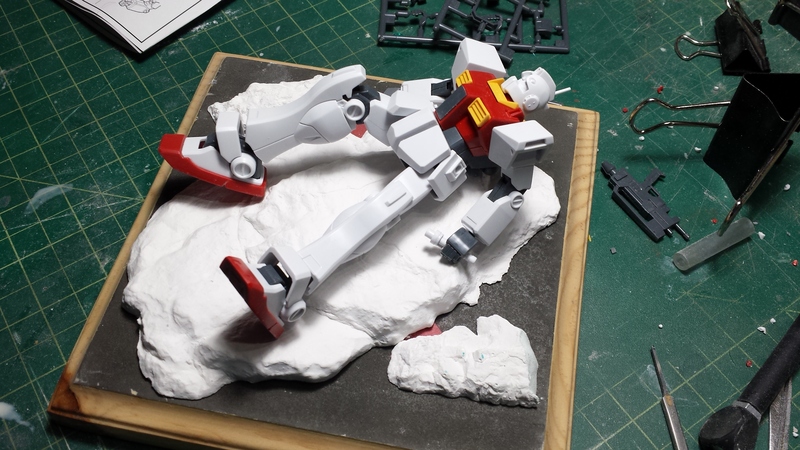 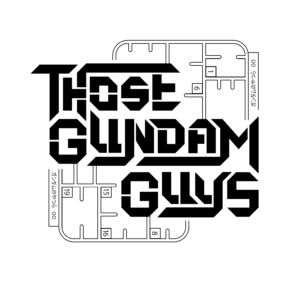 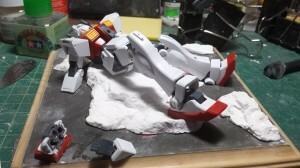 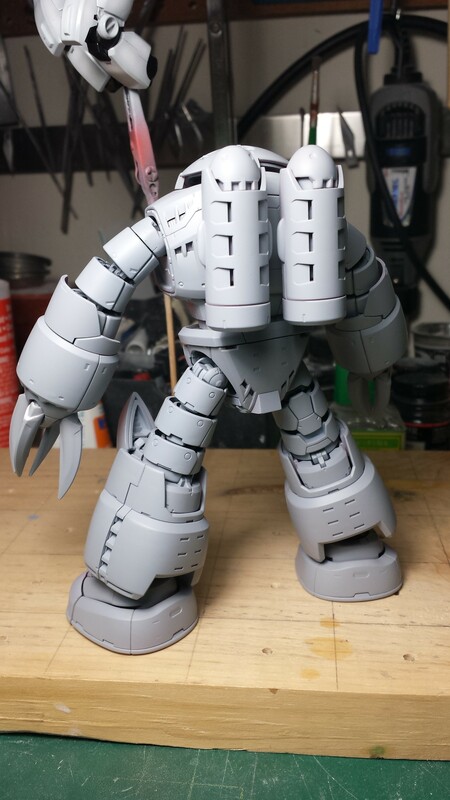 The whole arms, legs, feet, and body is painted on the built frame. This way, I get an even paint tone and I don’t have issues with bad transitions from part to part, section to section. Once the armor is painted, it is removed and I get to work on painting the frame. 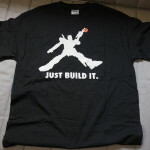 Yes, this seems counter intuitive, but I think this works out quite nicely.